Meet Lucy, creator of Fierlan – high performance cycling apparel for women. Lucy Gardner is the brains and talent behind the cycle clothing brand tailored for women – Fierlan. On an unseasonably warm winter lunchtime, we meet at Bristol’s not-for-profit bike cafe, Roll for the Soul, to eat delicious wraps and talk bikes and women’s cycle wear. Lucy’s modesty about her own riding ability, combined with an award-winning talent for design and high standards when it comes to quality, makes Fierlan the real deal for women of all different stages and abilities within cycling – it is cycle wear for every woman. 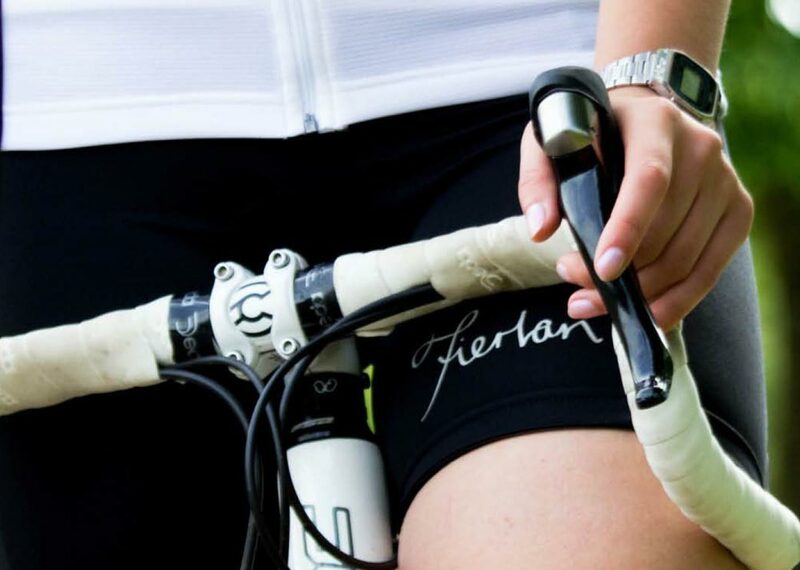 Fierlan, which means ‘journey’ in old english, was born in 2014 from Lucy’s desire to combine her love for fashion design with functionality, and further inspired by her frustration for the lack of choice in female cycle wear on the market. “Lots of brands can be prescriptive about what women should wear,” Lucy says. “For example, we shouldn’t wear bib shorts because we need to wee. But let’s face it, most of us don’t care about removing straps on the bib shorts on the road.” I’m nodding ferociously in agreement, thinking back to many a bib short foliage moment. “The point is, there’s no one single solution for everyone, so I try to make clothes that will suit as many women as possible, providing different options. Women need more choice, and the more choice the better,” Lucy explains. Who is the Fierlan woman? At this imaginary Fierlan party of female cyclists, Lucy used to be the one who used her bike simply as a way of getting around town for free. This was before she had a ‘penny-dropping’ moment, atop a very large hill in France. “My Dad was determined to get me to the top of a mountain in the Alps. I wasn’t impressed – half way up I had a little strop. Eventually, I got to the top, and had my first ‘I can do this!’ moment. It felt good,” Lucy says. 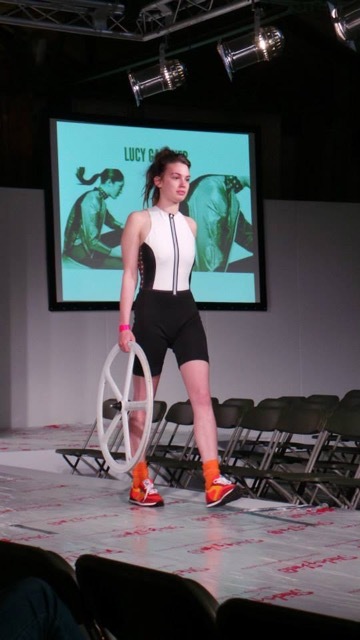 Lucy won an award for her degree show project in Performance Sportswear at Falmouth, Cornwall, and went on to launch her clothing range in 2014. The range includes jerseys, shorts and bib shorts, jackets and gilets, a sports bra, and her best-selling item, three-quarter lengths. “Everyone who tries them really loves them,” Lucy says. There is something unique about this brand – authentic and modest, meets bold and stylish – and it’s so encouraging to see a new cycling clothing range aimed solely at women on the market. Ultimately, Fierlan’s objective is to get more women into cycling. And with more women cycling every year, feeling great in the kit when it’s time to hit the road will only serve to further motivate and create a sense of enjoyment – encouraging women who use cycling purely to commute, to take it a step further into the ‘fun’ zone just like Lucy did. View Firelan’s range for women here.